This woman is 48 and waited until her 73 yr old ex husband passed away from lung cancer to steal everything from his home. She even took his personal effects and his multiple vehicles. His 3 children were forced to fight a Will that she and a few felons forged. The notary was arrested for perjury and false swearing for signing the document without the man present. 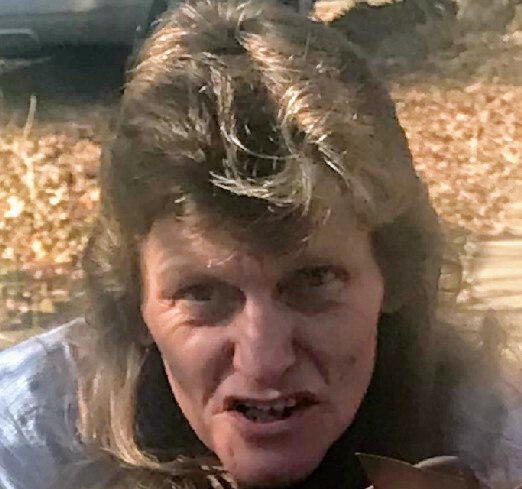 She has spread viscious lies throughout the community about his children and even showed up at the Absolute Auction claiming to be part owner of the property to drive down bids. She is currently residing with another elderly man as his girlfriend but receiving VA benefits as his caregiver. She is currently on shock probation for felony offenses because she had a stroke while being detained in County jail waiting to be moved to prison. She has destroyed several families and continues to obtain victims. Watch out for this trash bag, she will rob you blind with a smile on her face. That shot would be PERFECT for a “Mr. Yuck” sticker, no sh1t ! NO child would get close, let alone TOUCH whatever it is stuck to. EVER !!!!!!!!!!!!!!! Popcicle sticks and duct tape couldn’t keep my d1ck stiff enough to stuff it into that ! NFW !!!!! Looks like Dolf Lundgren in 10 years. I think the “48 years old” SHOULD in reality be 84 years old !